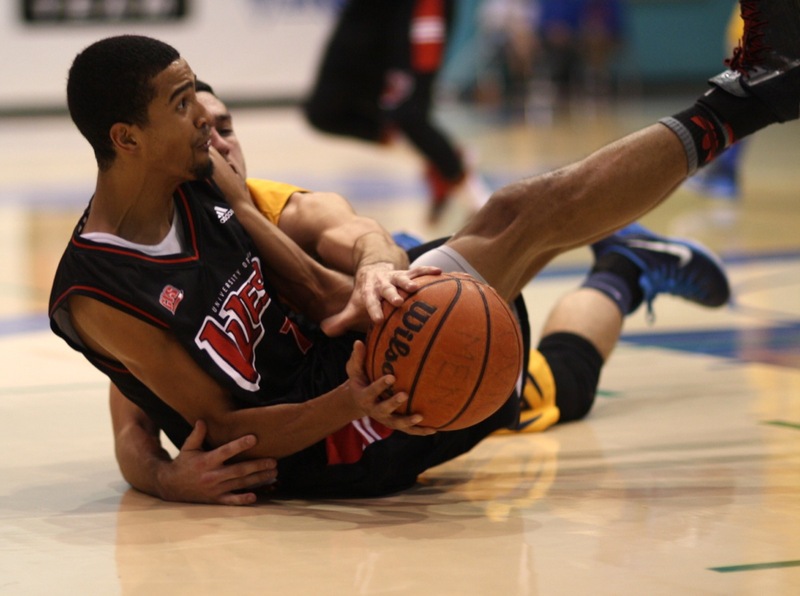 It was a frantic and nervous weekend for Vikes basketball fans who saw their UVic men’s team go 1-1 with the Winnipeg Wesmen in two hotly-contested games. After losing the first game 72-69, the Vikes picked themselves up to hold off a determined Winnipeg team and win 78-76 the following night. The Vikes started the weekend with an 8-2 record, just two points behind the conference-leading Calgary Dinos with a game in hand. After a dominant first quarter display, it looked as though they would improve that record and close in on the Dinos. During the first game, the Vikes found themselves up 42-35 at half-time. However, they struggled offensively in the second half and—thanks to some precise three-point shooting from the Wesmen—found their lead slipping further and further away to fall behind in the third quarter. Senior Chris McLaughlin led the team in scoring with 17 points,.Though, with 12 rebounds, his main contribution to the team was defensive. 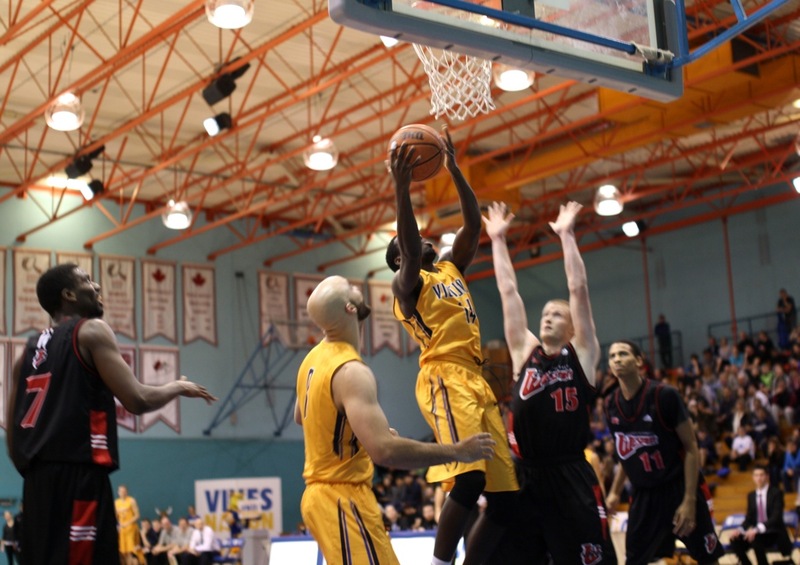 This was the first time Winnipeg and Victoria have played each other since the Canada West conference quarter-finals in 2014, and with the Vikes a perfect 4-0 in McKinnon Gym this season. 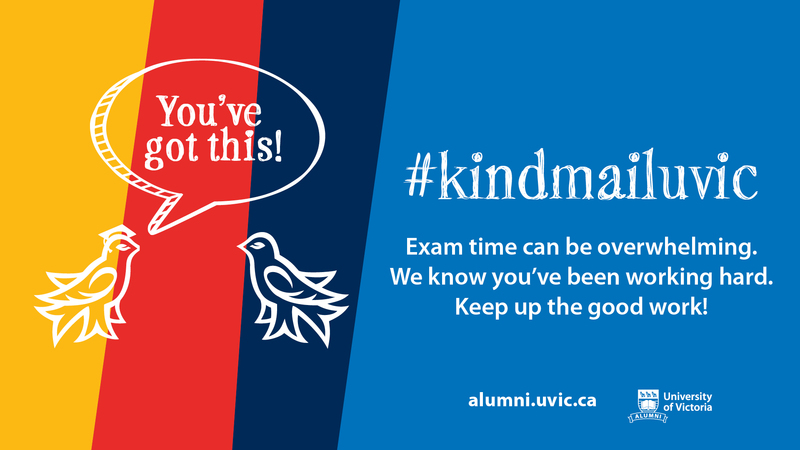 The atmosphere was electric, with a raucous crowd cheering every attempt from UVic. The Vikes were able to contain the Wesmen’s reliance on 6-9 center Ryan Oirbains and held the visitors to scoring just 14 points in the first quarter. Meanwhile, rookie point-guard Kai Greene and second-year Jordan Charles got off to a fast start on Friday, helping the Vikes to a 20-14 lead after the first quarter. However a lot of the plays were just that—attempts. Despite an encouraging first half the Vikes lost a seven-point lead and found themselves chasing the game after some inspired shooting from Winnipeg. While the Vikes had a lot of opportunities to further their lead, they ultimately engineered their own downfall with 18 turnovers—most of which came in a third quarter that completely changed the complexion of the game. The Wesmen came out of halftime a changed team, and they gained more and more momentum with every point. Two consecutive threes and an impressive dunk midway through the third gave Winnipeg their first lead, and they never looked back—the Wesmen didn’t relinquish their lead for the rest of the game. UVic had many chances to haul themselves back into the lead, but it seemed at times that the ball just wouldn’t go into the basket. With a meager field goal percentage of 38.5 per cent in the third quarter, the UVic crowd was getting more and more frustrated with every missed opportunity. The game was summed up in the final seconds as, with just three seconds to go and three points needed to force overtime, Vikes forward Grant Sitton pulled up for a three pointer. The ball bounced off the glass, however, and the Vikes missed their opportunity to move to the top of the Canada West Conference. Behan also rued the bad luck that maligned his team throughout the game. “The ball just didn’t bounce our way. [The Wesmens] had a couple momentum shifts in their favour, and they were able to knock down shots,” said Behan. It was a frustrating evening for the hosts, but, with the two teams scheduled to play again the following night, the Vikes had a chance to improve on the loss. And improve they did, with a tight 78-76 win against the Wesmen. With McLaughlin, Reiner Theil, and Patrick Pilato in double digits, the Vikes dug deep to fend off Winnipeg and improve their record to 9-3. 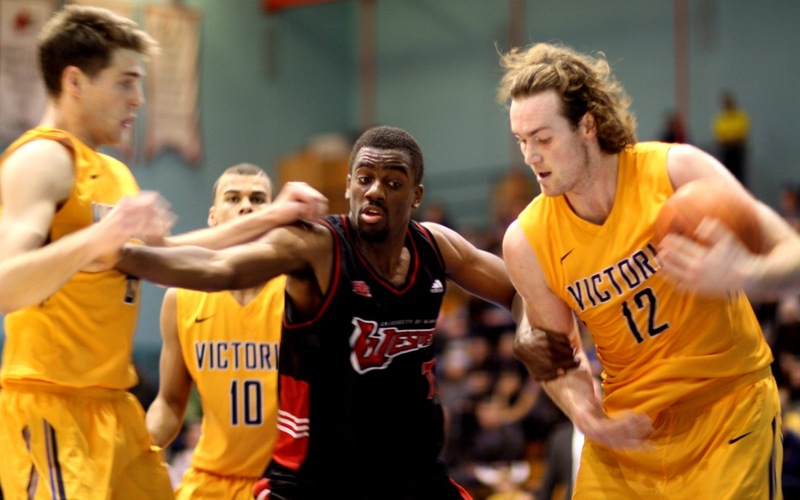 Despite throwing away several leads, UVic were able to hold steady and keep the Wesmen at bay. The Vikes men’s side will be pleased to have secured one victory this weekend but it will likely feel like a missed opportunity, as Winnipeg were a team that UVic would have wanted to sweep, especially at home. The Vikes sit just one win behind conference leaders the Calgary Dinos, with their next game on the road in Calgary on Jan. 24–25.